Photograph of flooding on Swinton Road, Mexborough, South Yorkshire. 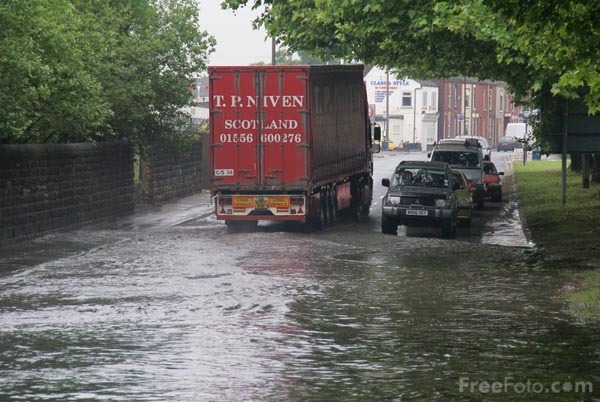 Friday 15 June 2007 was the wettest day in South Yorkshire for nearly 35 years when a month's worth of rain fell in just six hours. The torrential rain caused the transport system to grind to a halt as many roads were submerged under flood water. VIEW: More images from the category Floods, Mexborough, South Yorkshire or taken at the same location or around the same time .